As grantmakers and nonprofits are looking for ways to collaborate more effectively, many are experimenting working with and through networks to achieve greater impact. Because networks are by definition loosely controlled and emergent, understanding how to effectively support them feels like a mystery to many grantmakers. GEO's newest publication sets out to crack the code behind the network mystique. In fact, there is a method to working more efficiently and effectively through networks, and a critical first step for grantmakers is adopting a network mindset, which may require dramatic shifts in attitude and behavior for some. 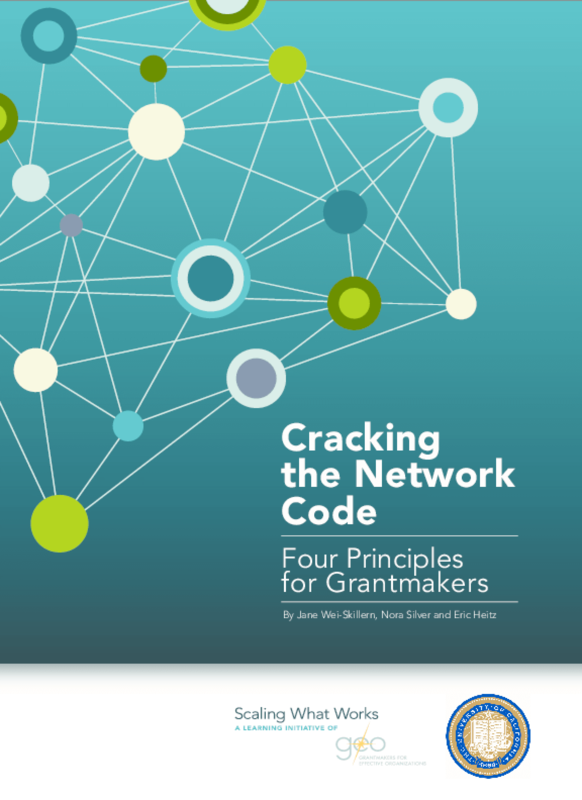 "Cracking the Network Code" outlines four principles that comprise the network mindset, illustrates the principles with a range of examples of networks that have achieved real results, and offers practical questions and recommendations to help grantmakers achieve the benefits and avoid common pitfalls of working through networks.